Hamburg (renewablepress) - In October 2018 innogy and the Nordex Group agreed on a strategic partnership with a view to facilitating future growth with onshore wind projects in a highly competitive environment in an optimal manner. This partnership is already paying off for both companies: for instance, at the end of 2018 innogy SE and the Nordex Group signed a contract in the USA for the supply of six N131/3900 turbines on the basis of a so-called "Safe Harbor" agreement. The term "Safe Harbor" describes the possibility on the North American market of securing Production Tax Credits on current terms and conditions – in this case from 2018 – by buying a part of the total components required at an early stage. 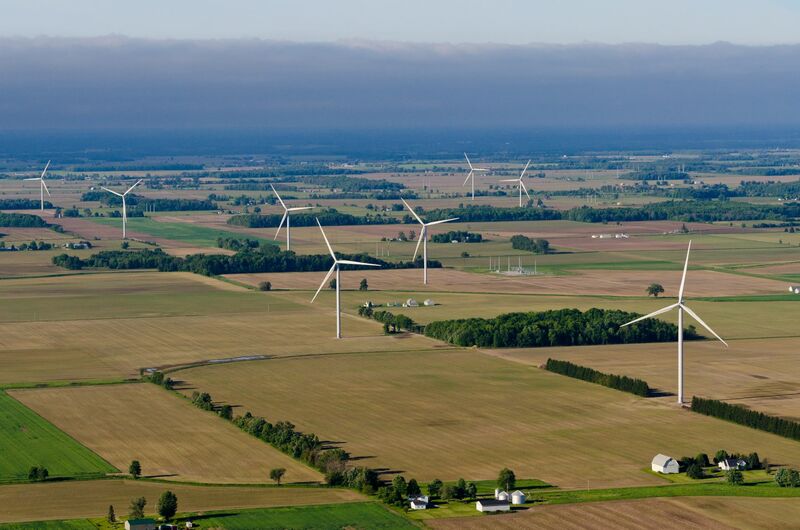 In addition to this, innogy is planning, subject to its investment decision, to realise its US onshore development projects in the state of New York, Cassadaga (126 MW) and Baron Winds (240 MW), using mainly Nordex turbines. Furthermore, the two companies enjoyed a joint success in the first onshore auction in Poland with the Zukowice project (33 MW). Innogy will shortly be making its investment decision on this. The Nordex group is expecting to receive the order for this project in the second half of 2019. Within the framework of the strategic partnership, between 2019 and 2022 innogy plans to optimise its project pipeline in Europe and the USA together with the Nordex Group and, following its investment decision, to buy its wind turbine generators exclusively from Nordex. The two companies are planning to work on projects with a total capacity of 1.7 gigawatts. Hans Bünting, Chief Operating Officer Renewables at innogy SE: "Thanks to the strategic partnership with Nordex we have been able to optimise our procurement strategy for onshore wind turbines. For example, in Europe and especially in the USA, we have secured prices for wind turbines and service for the coming years so that we remain competitive and ideally positioned for future auctions. The Nordex Group was successful in a tender due to making the best commercial bid and because of the promised transparency with regard to project optimisation." The Group has installed more than 23 GW of wind energy capacity in over 25 markets and in 2017 generated revenues of EUR 3.1 billion. The company currently has more than 5,000 employees. The joint manufacturing capacity includes factories in Germany, Spain, Brazil, the United States and India. The product portfolio is focused on onshore turbines in the 1.5 to 4.8 MW class, which are tailor-made for the market requirements in countries with limited space and regions with limited grid capacity. We plan, build and operate plants to generate power and extract energy from renewable sources. Part of our portfolio are wind and hydro power plants as well as solar and biomass plants. Currently, we are particularly strongly represented in our home market, Germany, followed by the United Kingdom, Spain, the Netherlands, Poland and Italy. Our aim is to expand renewables in Europe further, both on our own and working with partners. We believe that working together in this way is the key to making the energy transition a success. With an installed capacity of more than 925 megawatts in offshore wind and with over 2100 megawatts in onshore wind, innogy is one of the major operators in Europe. At the moment we are focusing on continuing to expand our activities in wind power. That's why, in addition to our core markets, we are already active in new markets such as the USA and Ireland. Another growth technology is the construction of utility-scale photovoltaic power plants - for example in Australia.